The official reason being given is that Kumble is required to stay back for the ICC 'Annual Conference' as he is the chairman of the Cricket Committee in-charge of taking a call on laws and regulations of the game. Kumble's Cricket Committee meeting will be held on June 22. "Yes, chief coach Anil Kumble is staying back for the ICC Meeting. The team is flying off to Barbados today," a team source confirmed the development without commenting whether he will join the team at all. 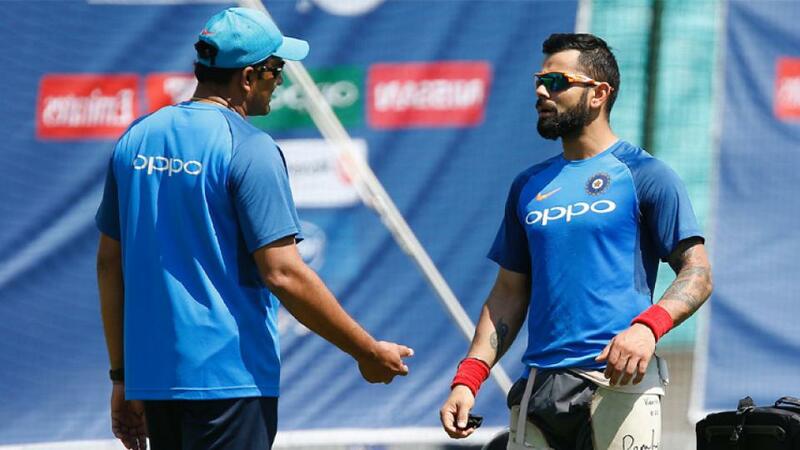 It is being widely perceived in the BCCI that in the meeting between Kohli and Cricket Advisory Committee, comprising Sachin Tendulkar, Sourav Ganguly and VVS Laxman, the skipper made it clear that his relationship with the coach has reached a dead end. "Funny, the ICC Meeting dates are known for months and so is the West Indies itinerary. You mean Anil didn't know he had to choose between ICC Meeting and the West Indies tour. May be he is finding it too difficult to continue," the official told PTI.